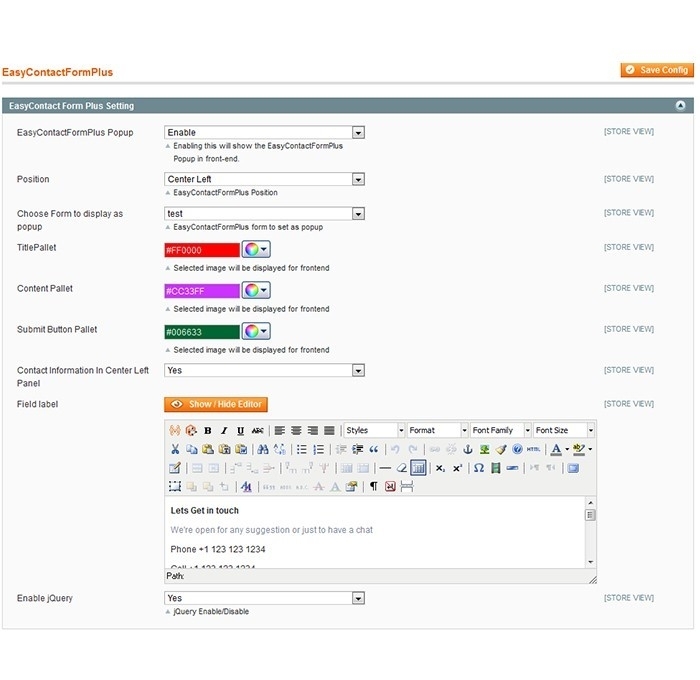 Your very Own Magento Easy Contact Form Plus - Build a Great Rapport with Customers! Magento store owners find this simple and efficient Easy Contact form Plus to manage customers and visitors to their online stores. This application is preferred to email communications (spam robots hog them!) as they tend to overload the database queries. The store owners are happy to extend a pleasant customer experience (to their buyers and visitors) with this simple, custom-built contact form. This application allows the user to create multiple forms for easy readability, thereby doing away with lengthy, complicated forms. This way customers’ experience is more satisfying. It helps build amazing custom forms for your business. You can add or remove any field as and when you want. 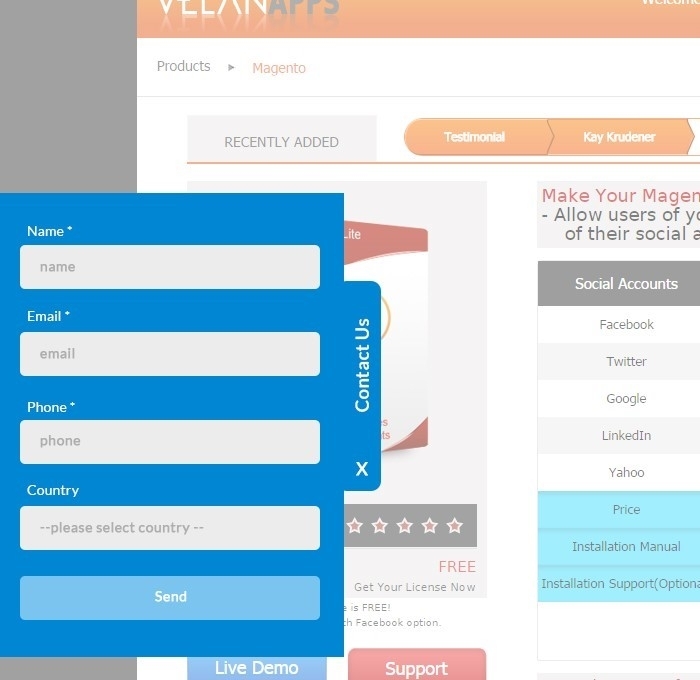 A dynamic pop-up form for the Contact Us. The store locator can be pinned up on any page as a widget. Multiple store locator maps for a chain of stores can be installed. Fields like Dropdown, Radiobutton, Texfield, and Checkbox can be added, and validation for each field can be done individually. Administrator or store owner can access the Grid view of inquiry reports where all contact requests made by the customers. Creating an e-mail template for customer inquiry is simple. E-mail notifications enable the store admin to get in touch with the customers. It automatically enables and edits the ‘Thank you’ message every time a customer submits a contact form. Easy and free installation support from our team. Creating a customized Easy Contact Form plus for your store makes interaction with your customers easy. Their queries and feedbacks are attended to spontaneously for effective user engagement. An extension that simplifies follow up and saves time, is a cool buy! Contact us today for your very own Contact form.